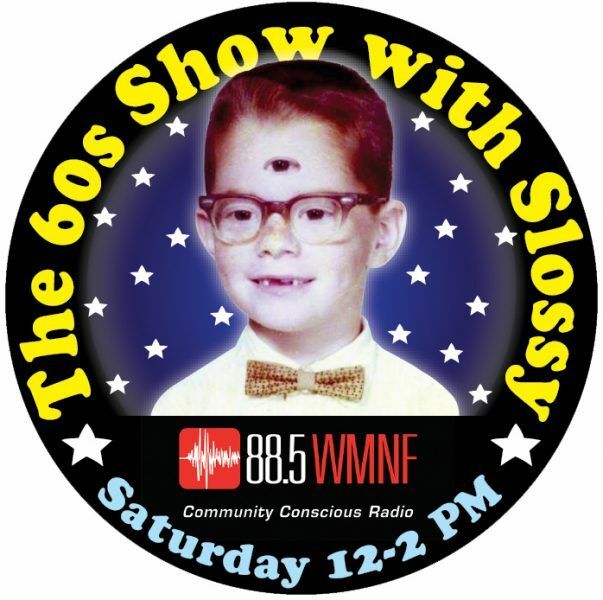 Each Saturday on WMNF, from noon to 2 PM, Slossy invites you to travel back thru the mists of time to that island called the sixties. Listen to The Beatles, The Beach Boys, The Rolling Stones and Bob Dylan along with great Soul, Blues and Folk, interspersed with television and movie dialogue from the sixties. West coast, east coast and around the world, fly Trans Slossy Airplane and chances are getting there on time will no longer seem to matter.